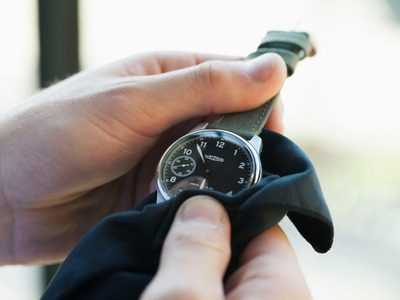 Facebook/WeissVery few watches can actually be labelled ‘Made in America’ because of a lack of manufacturing infrastructure. No one knows how difficult it is to manufacture in America like the people who actually do it. Los Angeles-based workshop Weiss watches is the perfect example. Its founder, Cameron Weiss, is passionate about reviving US mechanical watch manufacturing. 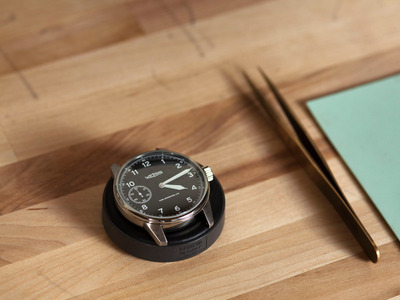 “Making my timepieces in America is important to me because I am very passionate about watchmaking, and I believe this is the best way to resurrect the industry in the US,” Weiss told Business Insider. He quickly ran into some issues. The watchmaking industry left the US a long time ago, taking all the infrastructure that supported it. That means very few watches can actually be labelled “Made in the US,” as the FTC demands that products be made with “all or nearly all” American-sourced components to earn that title. To get around that, Weiss essentially had to develop his own methods to build these parts in the US. He started a new business for parts, calling it Pinion Precision Technology. It produces parts mostly by machine, but there are difficulties there, too. Facebook/WeissAll the tiny parts in Weiss’ movements are made in America. To bring some of the machining in-house, Weiss purchased a lathe machine that can make multiple types of parts for watches. Weiss even had to develop a new shipping process, as the parts are so fragile they cannot simply be thrown into a box and shipped. He hopes to one day supply American-made parts to other US watchmakers seeking the coveted FTC designation. “Creating is not easy, and since we are a global economy, it may not fit every industry to make each part of their product here,” Weiss said. “I think it is important not to lose sight of the product. For us, we are focused on creating a timepiece to last generations. Weiss’ challenges highlight potential obstacles to President Trump’s plan to restore American manufacturing. Trump has declared this week “Made in America week” and has hosted companies from across all 50 states to showcase products that have been made in America. But beyond discussions, Weiss shows that companies will have to invest significant capital to make ‘made in America’ happen.